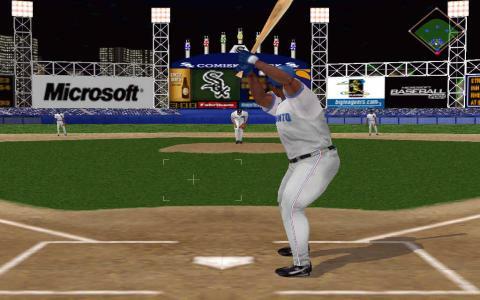 This is the last entry in the Microsoft Baseball series, and thankfully it's far superior to its immediate predecessor, Microsoft Baseball 2000. It actually offers a pretty fine experience for fans of the sport so if you're looking for a neat alternative to Hardball, then this isn't a bad choice. It's not as serious as other simulators though, and offers more of an arcade-like experience, but as this results in a game which is actually quite fun, this probably isn't a bad thing. 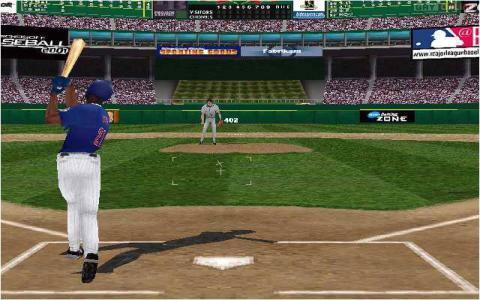 This one offers the usual range of options, including the ability to play a single game, to play a historic game from the relevant season or to create a new league or play through a whole season in the playoffs. Whichever one you go for, you're in for a streamlined, arcade-style experience which has been much simplified over earlier entries and which makes things a lot easier than before. Some gamers might not be too happy about this, but there's no denying it results in a slicker, more entertaining experience which is likely to have a broader appeal. As long as you go in expecting an arcade game, and not a full on stats-heavy managerial title, you should have a good time here. There's no denying the game is lacking in the stats and finances department, but it more than makes up for this by simply being pretty fun to play, and it really is quite satisfying when you start whacking them out of the park. The visuals are very attractive too, with some nice animation and large character models, so when you throw in the excellent presentation, you're left with an all round good game.